Nothing is an accident. If there is an infinite Creator, then all of life is interwoven. Every intricate detail is decided with infinite precision. Everyone's soul yearns to understand the universe. This book takes you on a tour of deeper concepts, then calls you to make a change in your own life, based on the insights into each of the 54 sections. Both spiritual and practical, the book brings the esoteric down to earth. Audiences say that Rabbi Weiman's approach to kabbalah is "user friendly". His emailed insights reach a wide variety of people all over the world, and his website www.kabbalahmadeeasy.com is also a huge draw. His articles have appeared in newspapers, magazines and websites - both in Jewish circles and New Age. The Torah has 54 sections, and the tradition is to read a section each week in the synagogue. Each chapter gives you a taste of one or two insights from a section and then a "spiritual exercise" to make the insight real. There are countless Hebrew commentaries on these sections dating back to the middle ages. 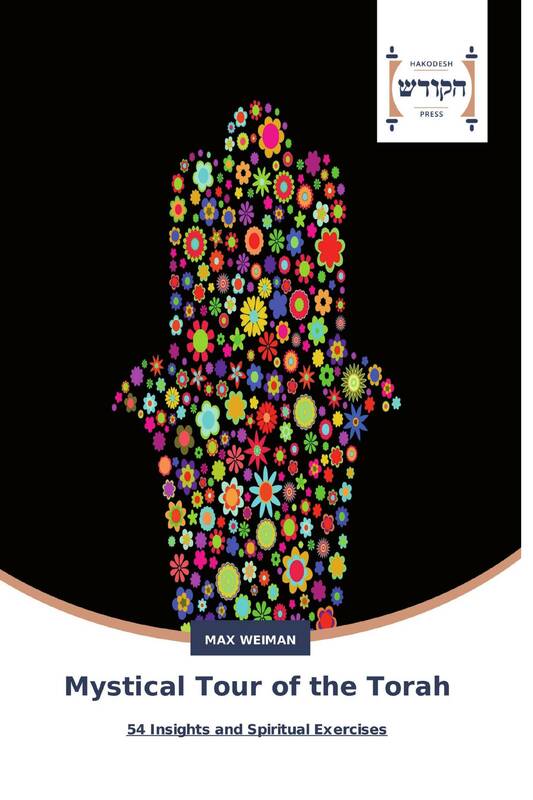 Rabbi Weiman draws on the more mystical commentaries to build his insights and spiritual exercises. Take a tour you'll never forget.